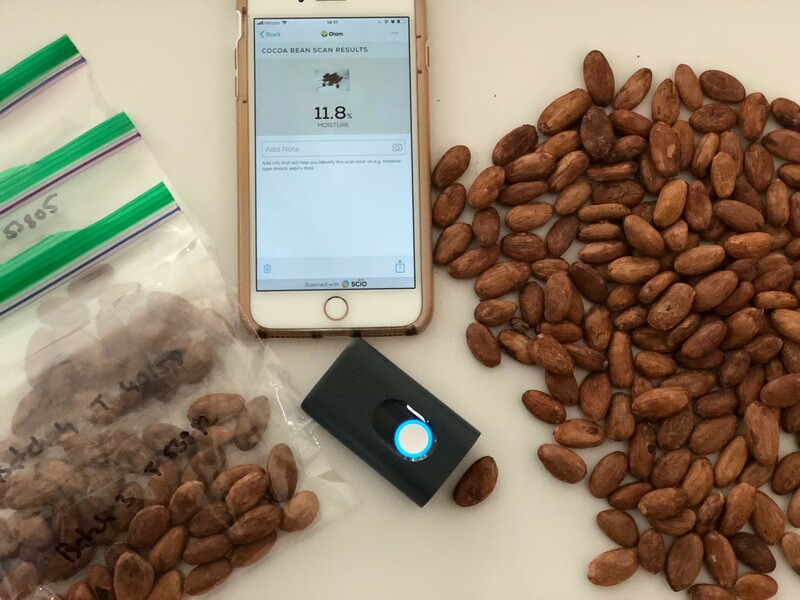 “Using the revolutionary SCiO micro-spectrometer, smallholder cocoa farmers can now be rewarded based on quality, while at the same time potentially eliminate some of the middlemen, affording the growers a larger piece of the overall value created. This would have an effect on the entire supply chain by not only cutting middleman costs but by also saving time in decision making. The impact on the supply chain is reduced cost and better quality, which would eventually influence the final product consumed,” Dror Sharon, Consumer Physics CEO tells FoodIngredientsFirst. Instant moisture results allow Olam Cocoa to disintermediate and source directly from smallholder cocoa farmers based on the quality they produce, hence raising efficiency, quality and traceability at supplier farms. Tracking and collecting scans across thousands of smallholder farms provide valuable insights on the cocoa processing at grass roots level, which enable Olam Cocoa to track trends over time and across different geographies. The alternative farmers have today is either to take samples to a lab which requires time and effort or to use other tools to dry out and test cocoa beans in order to estimate their moisture level, a process that can be cumbersome and is not scalable, according to Sharon. Click to Enlarge“Intermediaries have traditionally had a role in that process which eventually increases the cost for the processors and end-customers. According to Olam, capturing data at farmgate reduces cost and saves time, eventually allowing smallholder farmers a fair price through more accurate quality assessment,” he says. 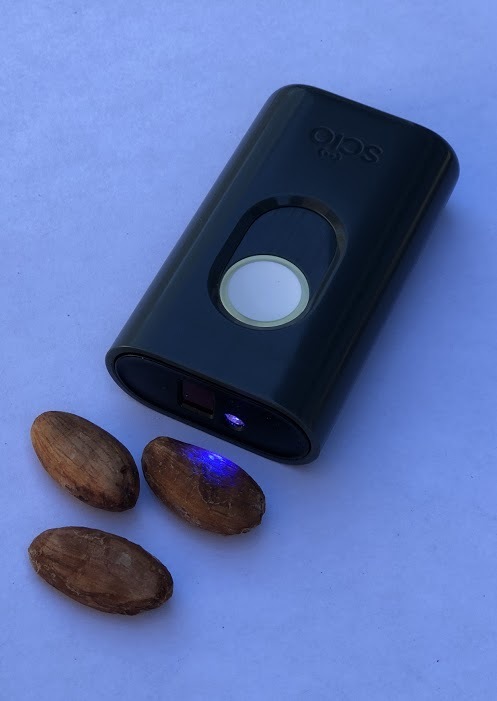 The SCiO sensor and the SCiO cloud-based platform were developed to help organizations and individuals use spectroscopy anywhere and anytime to analyze materials, generate more data, and to store and share this more efficiently than ever before, Sharon explains. Other use cases of the SCiO are corn-on-cob analysis, forage analysis, soybean, raw meat and processed and unprocessed dairy, he notes. “It is also used in pharmaceuticals and in the chemicals industry. The platform includes a developer kit for high-velocity innovation and is perfect for food and agriculture supply chain applications,” Sharon explains. Cocoa beans are sourced from all major origins across Africa, Asia and South America from a network of 650,000 cocoa farmers. 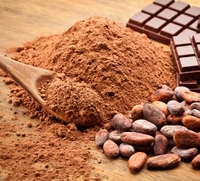 Olam Cocoa’s portfolio of ingredient brands is led by deZaan, as well as African origin brand Unicao, South American origin brand Joanes, the regional Macao and Husyman cocoa powder brands, the Britannia confectionery and specialty fats brand and the recently added BT Cocoa brand. Olam Cocoa has a global cocoa bean grind capacity in excess of 820,000 metric tons and a refining and milling presence of more than 80,000 metric tons in, or adjacent to, primary consumption markets in Europe, the Americas and Asia. “Olam Cocoa has been working with smallholder farmers across the value chains it operates in, for several years. Due to the scale of transactions and complexity of field analysis of the produce, traditional intermediaries have had a role to play. But with technological developments, including The internet of things (IoT), Olam Cocoa is now leveraging its digital platform to directly reach the first mile of the cocoa supply chain,” says Vijay Karunakaran, Head of Olam Cocoa Indonesia. “This helps in timely, correct and on the spot quality assessment – therefore allowing Olam Cocoa to make deeper inroads in its cocoa value chain while giving the smallholder farmers a fair price through accurate quality assessment,” Karunakaran notes.